The European Commission has ordered Amazon to pay around €250m (£220m) in back taxes after finding it had benefited from an illegal sweetheart deal with Luxembourg. It found that the online retailer had been granted undue tax benefits from an arrangement with the country that broke EU rules on state aid and that Luxembourg must now recover the money. Amazon becomes the latest US-based tech giant to be targeted by the EU over tax after Apple was ordered to pay €13bn (£11.5bn) to Ireland last year. The EC also announced on Wednesday that it was taking Ireland to court for its failure to collect that sum. 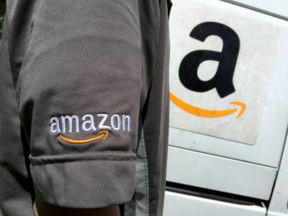 Margrethe Vestager, the commissioner in charge of competition policy, said that the deal between Amazon and Luxembourg meant almost three quarters of its profits were not taxed. "Amazon was allowed to pay four times less tax than other local companies subject to the same national tax rules," she said. "This is illegal under EU state aid rule. "Member states cannot give selective tax benefits to multinational groups that are not available to others." The exact amount of tax to be repaid will need to be calculated by Luxembourg authorities, the Commission said. The €250m sum was lower than had been expected. Amazon said: "We believe that Amazon did not receive any special treatment from Luxembourg and that we paid tax in full accordance with both Luxembourg and international tax law. "We will study the Commission's ruling and consider our legal options, including an appeal." Luxembourg rejected the finding and said it was looking at legal options. The EC investigation centred on a tax ruling issued by the country in Luxembourg in 2003 which it said "lowered the tax paid by Amazon in Luxembourg without any valid justification". That ruling enabled Amazon to shift the vast majority of its profits from Amazon EU, a company that is subject to tax in Luxembourg, to another entity, Amazon Europe Holding Technologies (AEHT), which is not, the Commission found. The arrangement saw Amazon EU pay royalties to AEHT, which acts as an intermediary between Amazon EU and Amazon in the US. That payment resulted in a lower taxable profit for Amazon EU. The Commission found that "the level of the royalty payments, endorsed by the tax ruling, was inflated and did not reflect economic reality". Amazon changed its European tax practices in 2015 so that it can book sales and pay taxes in Britain, Germany, Spain and Italy instead of channelling all sales through Luxembourg where it has its headquarters.